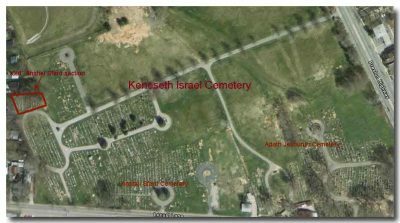 Genealogy – Herman Meyer and Son, Inc.
Herman Meyer & Son, Inc. has compiled an extensive database of the majority of Jewish burials in the Louisville, Kentucky area since 1910 and possibly earlier. While this service is free of charge, we do ask a donation be made to one of the following charities. This database only contains information on burials and/or deaths which occurred in the Louisville, Kentucky area and the funeral arrangements were handled by Herman Meyer & Son, Inc. You can now search our records online. Read the description of the links below and decide which one fits your needs. If you are not able to find the individuals name on the list, we will not have any information at the office either as the online information is the same information we have. As we are able to provide online access to more information, we will post it as soon as possible. 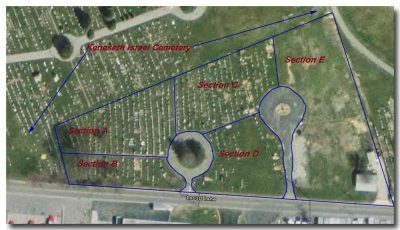 We have completed work on both Agudath Achim and Anshei Sfard Cemeteries and are working on The Temple Cemetery. We will continue photographing all cemeteries until we are finished. Please note: As of April 1, 2018, pictures of the monuments will be added to the person’s obituary. The following links will provide you with the opportunity to view maps of Louisville’s Jewish Cemeteries, locate the grave of an individual and also to view a photo of their headstone. 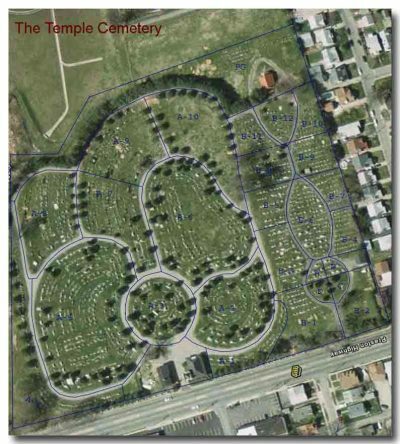 Currently, not all cemeteries have been photographed and not all burials are listed. We are working diligently to have this information available to you, but as you can imagine, this is a huge project. Until we have completed this project, feel free to contact us with any questions you may have. We will share all the information we have with you and if you wish to have a photo of a family lot, we will be happy to help. We hope this page is useful to you and ask for your comments or corrections if you find an error. If you need further assistance with this cemetery, please contact either Congregation Adath Jeshurun or Jody Bowling. This feature is partially online. Please be patient as we work on this project. 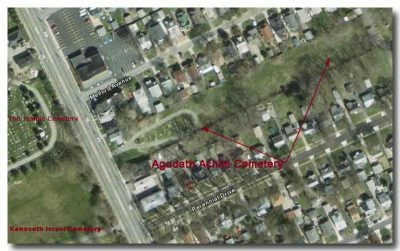 A larger map of Agudath Achim Cemetery may be accessed by clicking the image below. 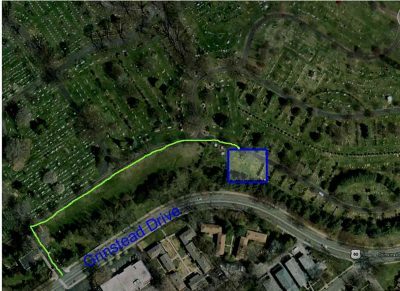 You can click the overview map of the cemetery and see the list of people buried in each section, their grave location as well as a photo of their headstone. 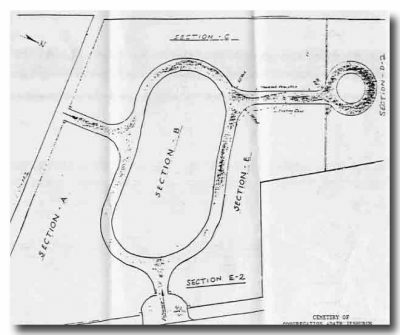 If you need further assistance with this cemetery, please contact Herman Meyer & Son, Inc. and we will assist you. 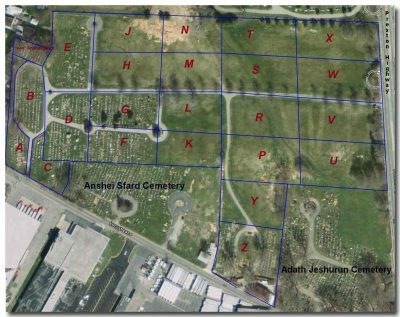 All grave locations, maps and photos for Anshei Sfard Cemetery are available online. 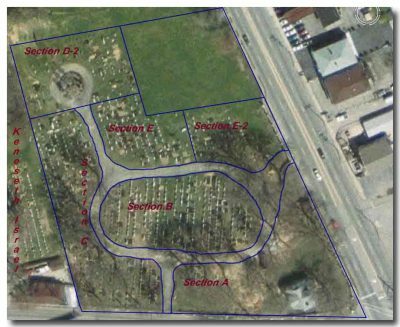 If you need further assistance with this cemetery, please contact Herman Meyer & Son, Inc. and we will assist you. This feature is partially online. We are working hard to have all cemeteries online as quickly as possible. We are working hard to have all cemeteries online as quickly as possible. This feature is currently not online. We are working hard to have all cemeteries online as quickly as possible. Please be patient as we work on this project.